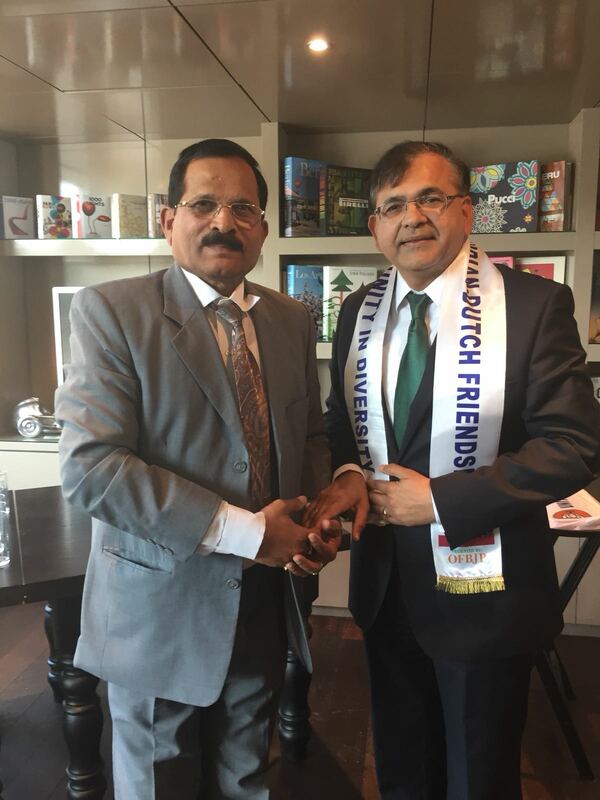 India’s Minister of Ayush, Mr. Shripad Yesso Naik , visited the Netherlands from September 1-4 and led a delegation comprising senior officials from the Ministry of Ayush including the Pharmacopoeia Commission of Indian Medicine and Homeopathy. 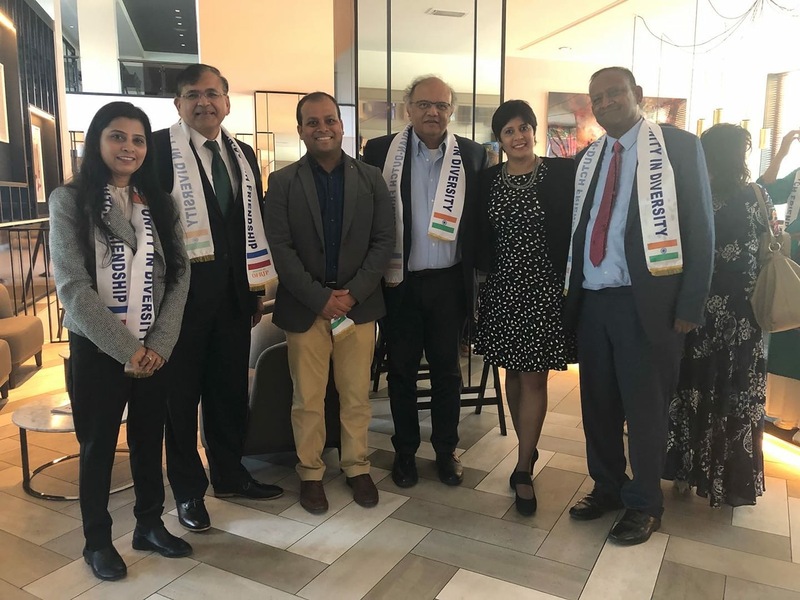 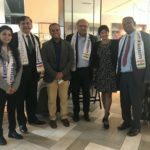 Various events were organised for the Ayush delegation including a special welcome in the Marriot Hotel the Hague hosted by OFBJP Netherlands with many members of the Indian Diaspora present. 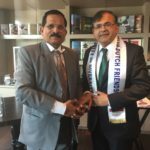 GOPIO welcomed the Minister too and stressed that relevance of Ayush and related knowledge systems are becoming more relevant to the European audience and are a great opportunity to connect with the Indian culture. 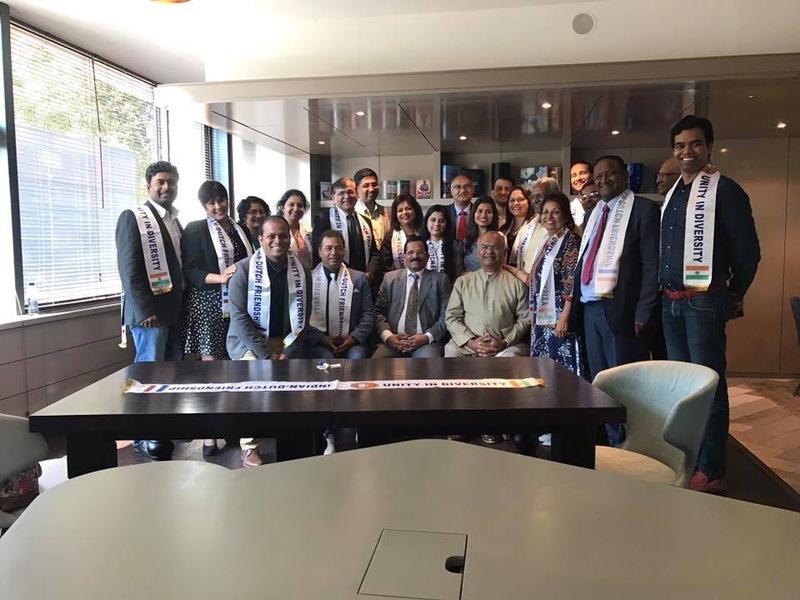 The Minister praised the diaspora members as the local “ambassadors” of India’s system of health management and promised support when needed to promote Ayush in the Netherlands.